The Mr. Root Beer refill pack will come with everything you need to make another 2 gallons of great tasting old-fashion root beer in as little as 3 days! ! It is easy to use and fun for the whole family. 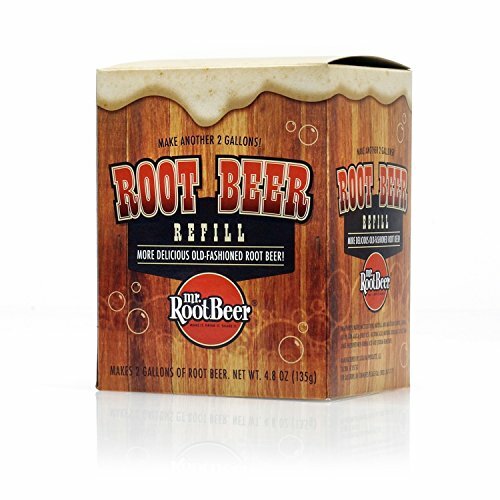 Since Mr. Root Beer is naturally carbonated it will give you less fizz, and more of a smoother creamier root beer taste. 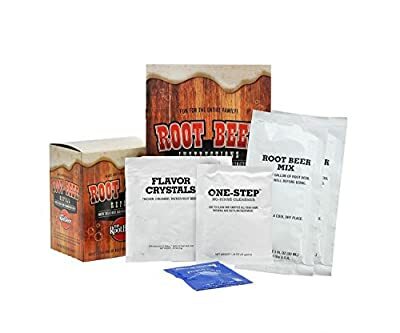 Included with this refill are 2 packets of Root Beer Mix, 2 Packets of Root Beer Flavor Crystals, 1 packet of No-Rinse Cleanser, and 1 Packet of Root Beer Yeast.